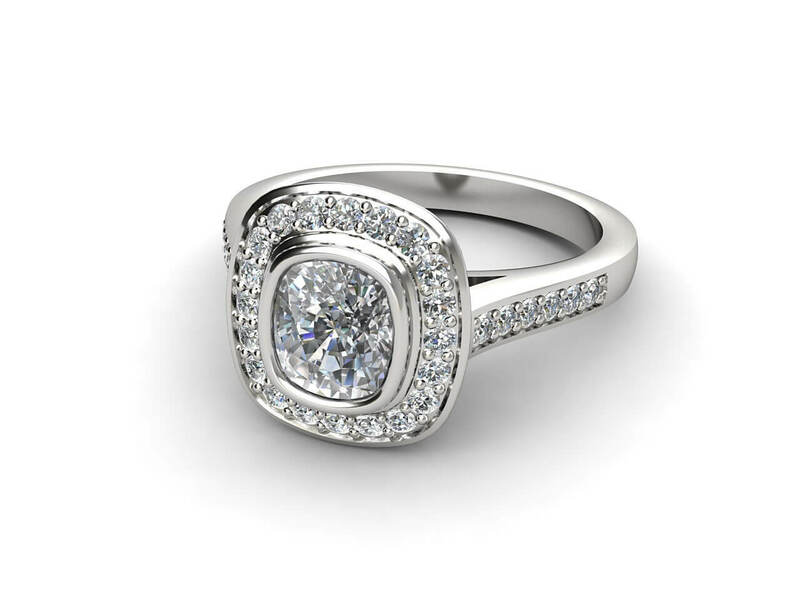 A cushion cut ring allows for maximum surface area display of your chosen gem. 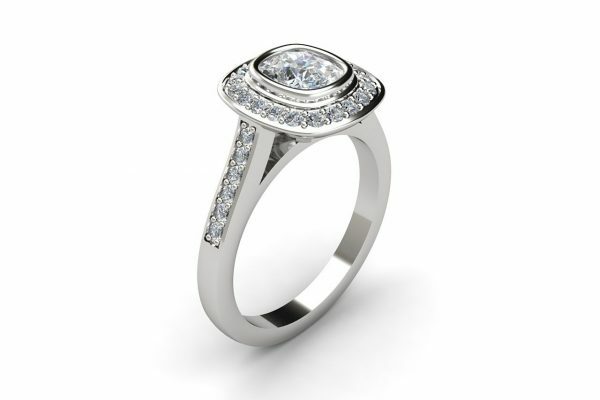 In this case, you have the flexibility of choosing a 070 to 1.50ct diamond, or a sapphire, ruby or aquamarine. Forming a halo around the central jewel and along the shoulders are a total of no fewer than 32 brilliant round diamonds, totalling approximately 0.30ct. 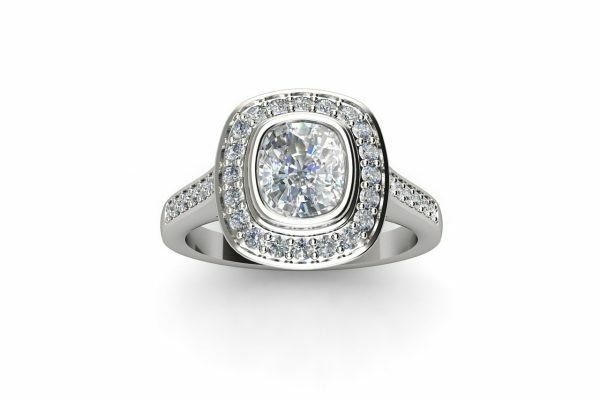 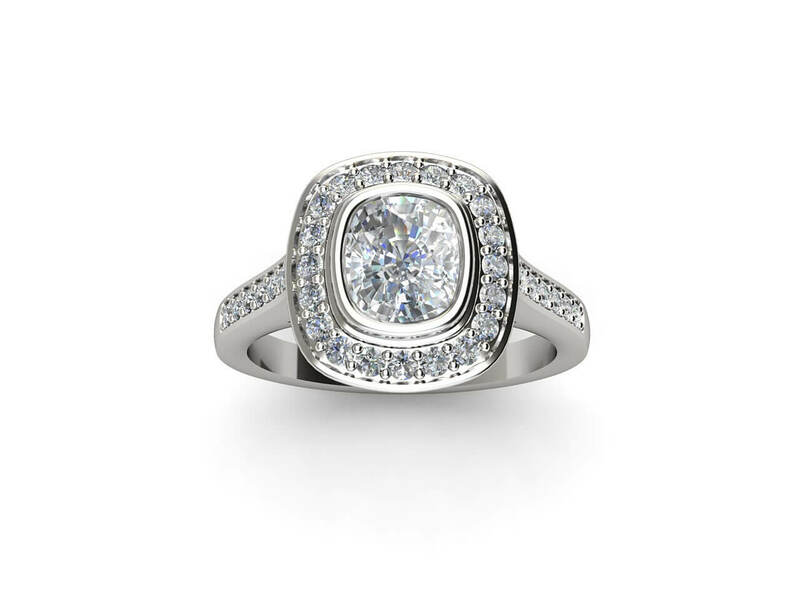 Cushion cut is believed to be a modern invention, but is actually much older, and was widely used in the 19th century. 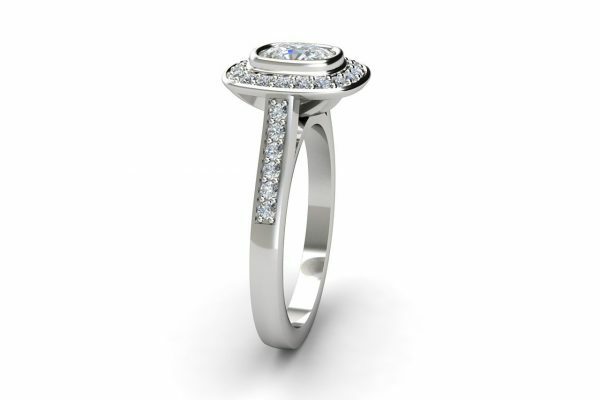 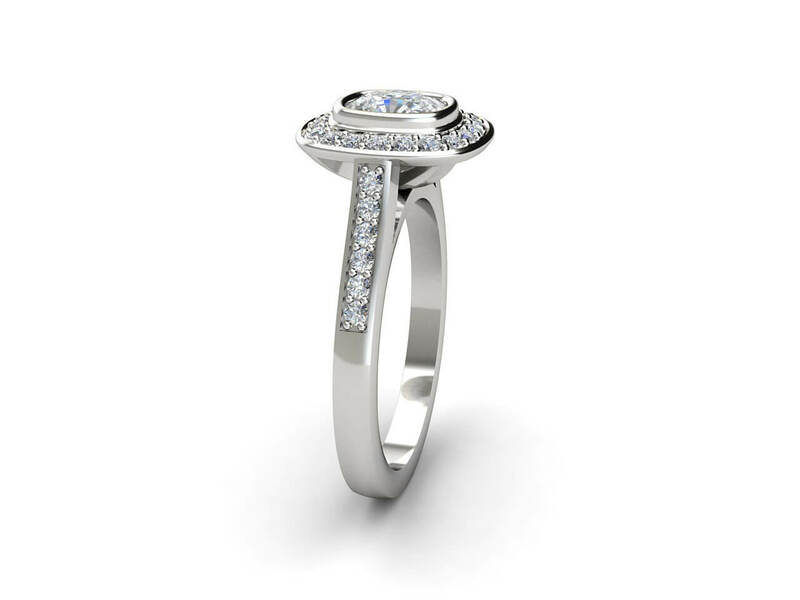 The surrounding halo delivers even more attention and sparkle to the central jewel; creating a perfect showcase of love. 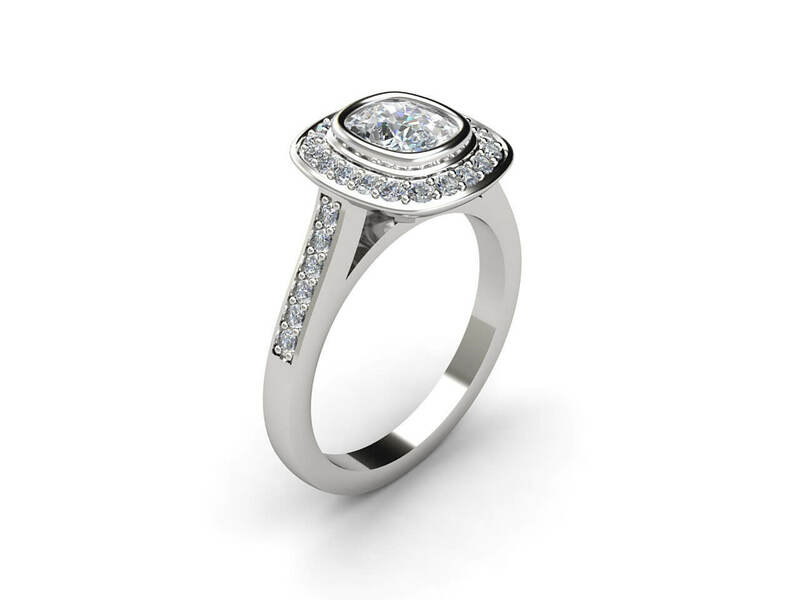 For the ring itself, simply choose from 18k white gold or platinum, or, to make the brilliance complete, opt for a 2-tone 18k white gold coronet with a yellow gold band. 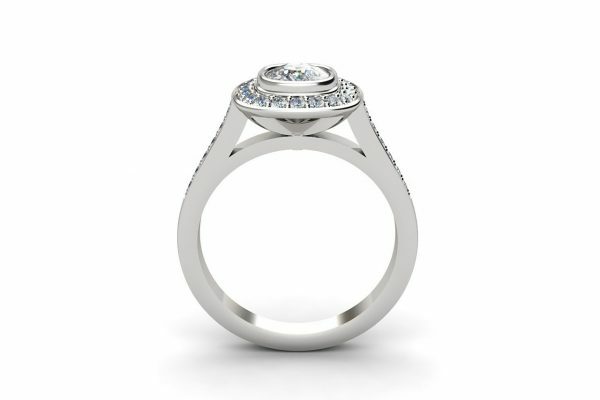 The inside features the unique Joseph George of Melbourne logo, a discreet counterpoint to the outer display.